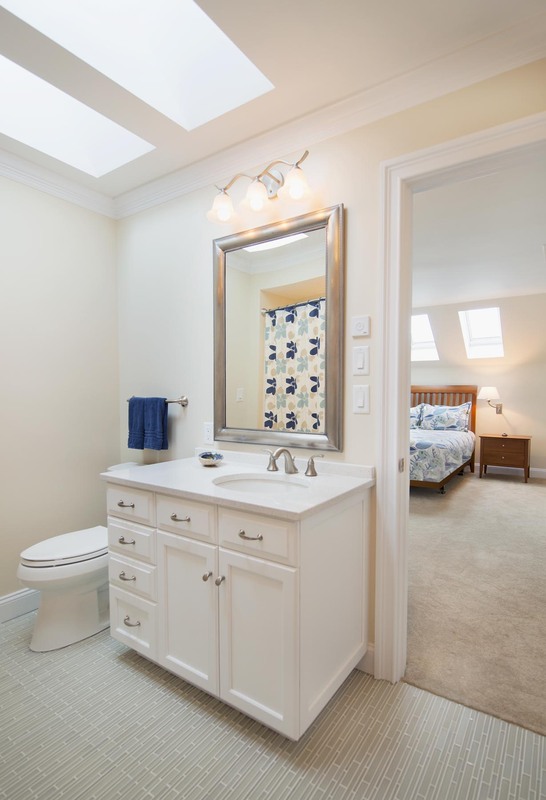 This project involved creating a guest bedroom and bathroom as well as a multi-purpose room out of previously unfinished second floor space. 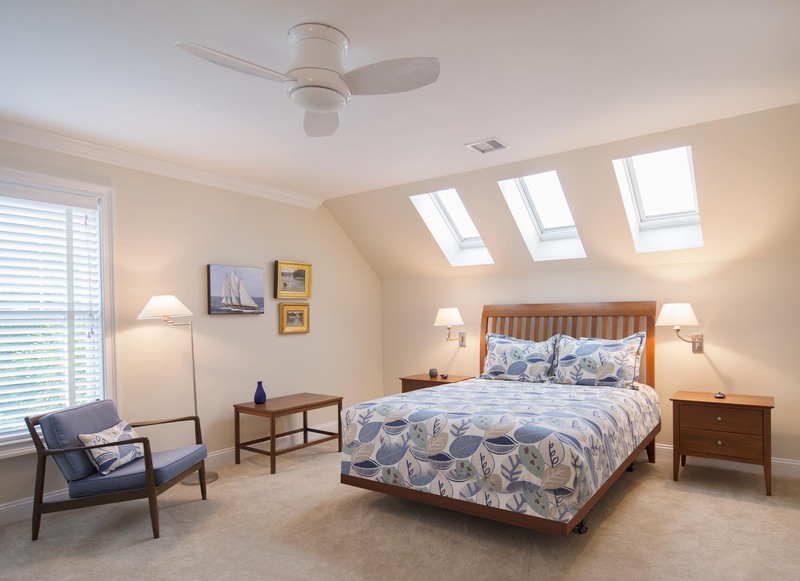 The bedroom featured motorized skylights with shades, a walk-in closet, and access to a private bathroom with glass tile floor, skylights, and large linen closet. The multi-purpose space was finished with an entry foyer, plenty of storage, and new carpeting. The challenge with this project, as with all of our projects, was to finish the spaces in keeping with the existing décor to provide a seamless feeling.